"My Friend" is a project that I made in April 2014 during an experience with the Italian Navy during the Mare Nostrum operation. 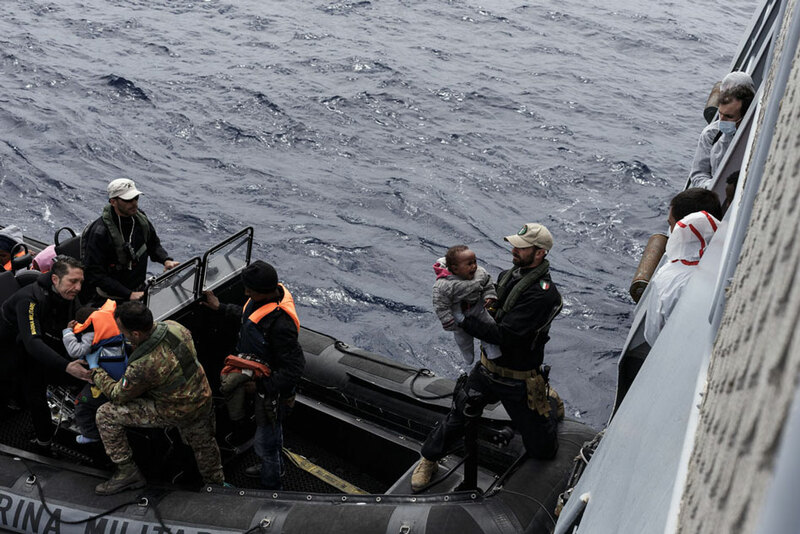 I was two weeks on board of "Sirius Ship" patrolling the length and breadth of the Mediterranean, and I have assisted in the rescue of 1,154 migrants. The photographic work documenting the phases of therelief, from when the survivors are rescued by boats, conducted on board the ship and assisted, until the time when they are transferred to the Coast Guard patrol boats to reach the port of Sicilian coast: Pozzallo ( RG) and Porto Empedocle (AG). The rescued migrants were mainly Somalis, Nigerians, Malians, Eritreans, but most Syrians who crossed the Lebanon, Egypt and embarked from Libya to escape the war. "My Friend" is how, relief and rescue workers, they called each other. The project wants to show the issue of migration from a perspective that goes beyond the sterile calculation of numbers and figures that is rampant in the political and cultural debate, to put the accent on the centrality of human life, and the right of every man, to live in a safe country.